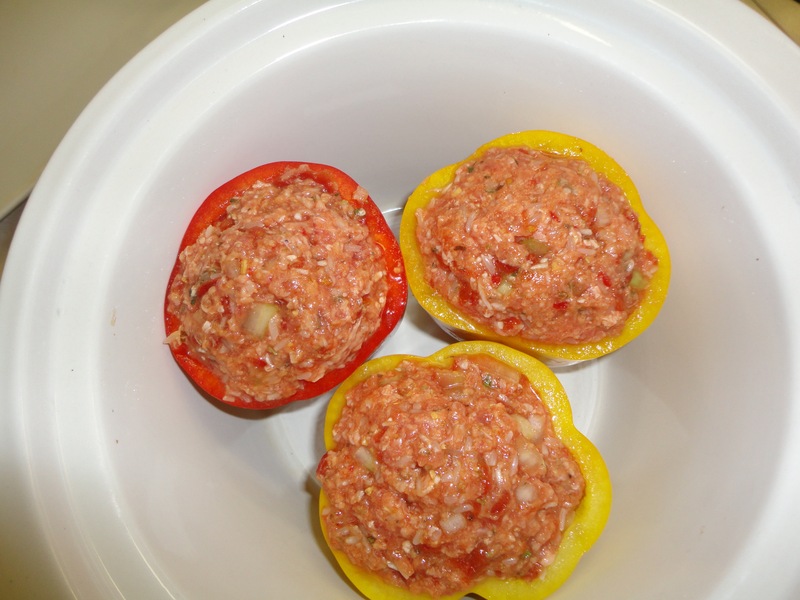 Stuffed Peppers are Real Comfort Food! This is one of the best times of the year for produce hands down. Farmer’s markets are bursting with the freshest ingredients and it’s up to us to be creative with our cooking. Harry is a stuffed pepper lover! Me, not so much but I do find myself asking him if he will share just one now and again. I suspect today will be one of those days. 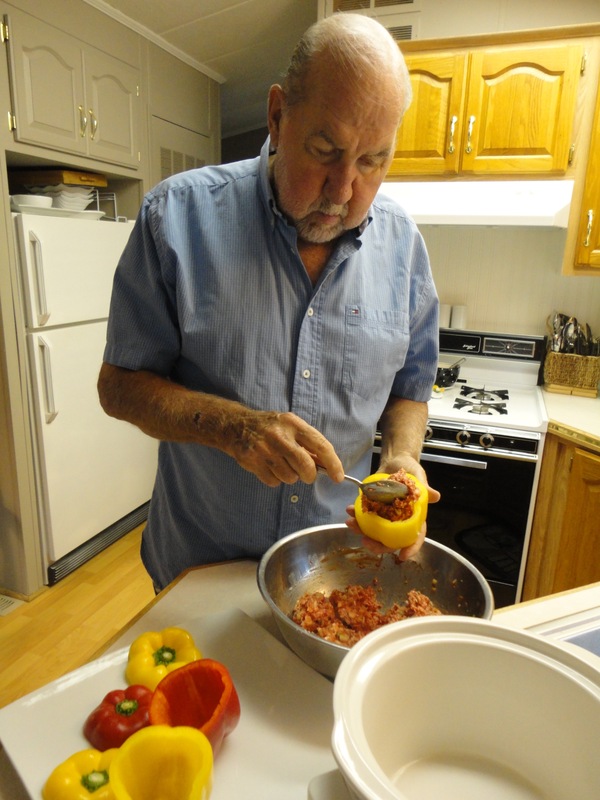 Harry’s going to walk you through his secrets and tips for making the best stuffed peppers in town! This recipe uses the crock pot so you won’t heat up the kitchen. You can also do this for a busy day. Make the stuffing on a Sunday when you have a few minutes, then let the crock pot do the cooking. Voila! Dinner’s ready when you get home. 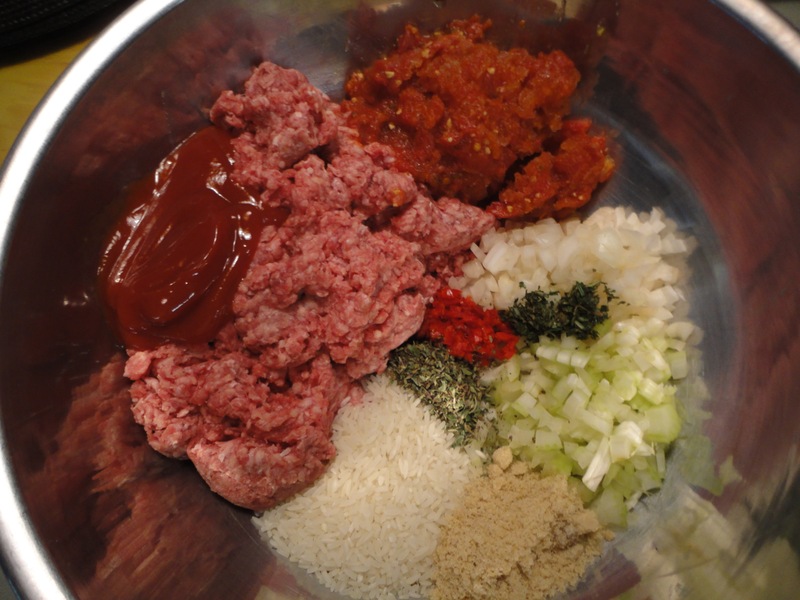 The ingredients are fresh so the end result will be savory and a bit spicy with a luxurious sauce. Begin by: Make the sauce by placing everything into a pitcher. Stir well and reserve. Then: Mix all the ingredients in the first segment and stuff the peppers. 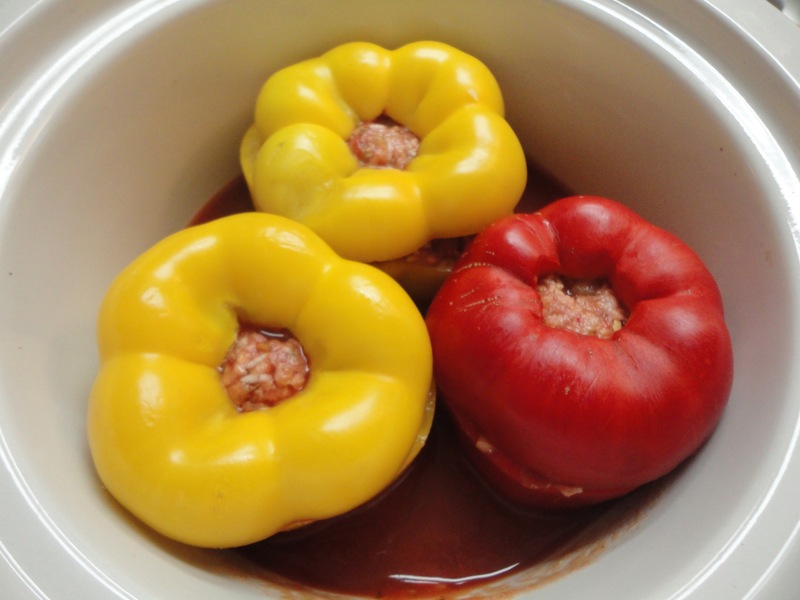 Place peppers into the crock pot or if baking in the oven place them in an oven proof dish that is deep enough to hold the peppers and the sauce. Once the peppers are stuffed and placed in the crock pot or oven proof dish pour the sauce no more than half way up the peppers. These are now ready to cook. For the oven set it on 350F for 1 hour or until a knife easily pierces the pepper. 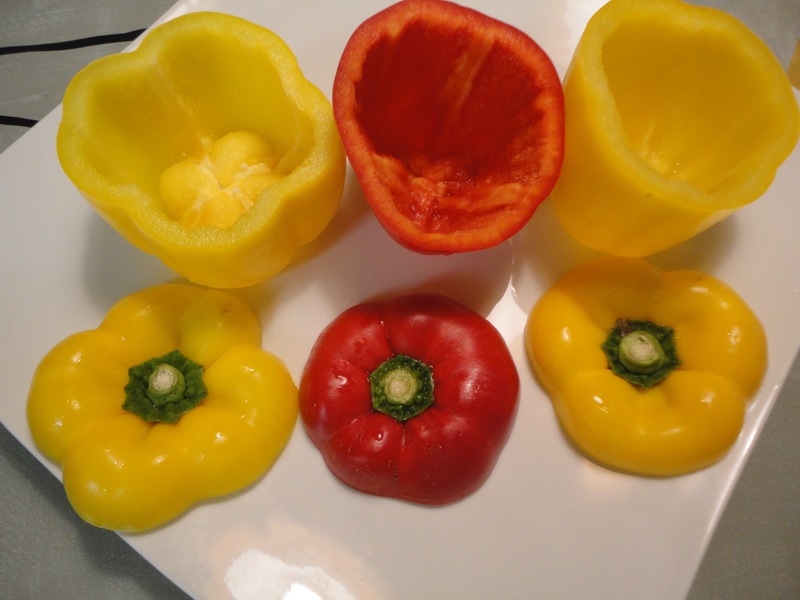 Harry’s Tip: I prefer yellow, red or orange peppers to green peppers since they are much sweeter tasting. There’s no room for the slight bitter edge of green peppers in my recipe. We hope that you give this recipe a try. 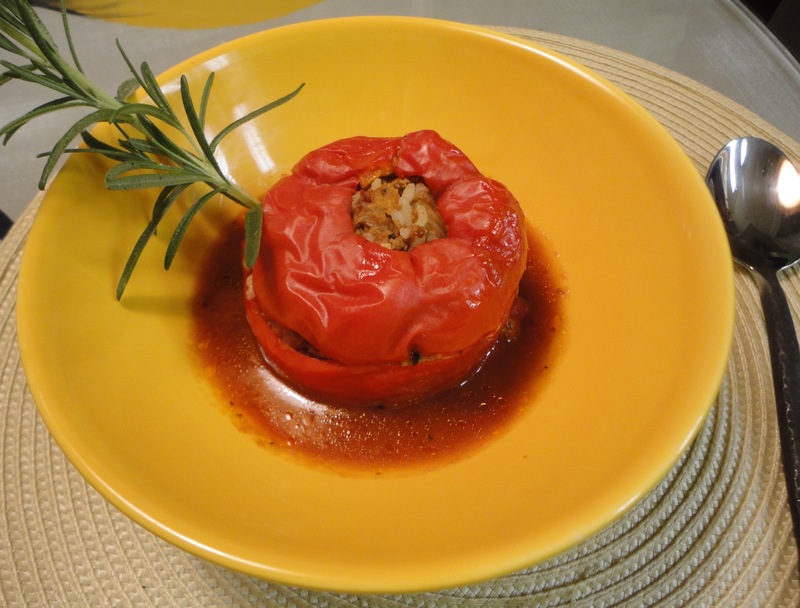 You’ll find that the savory filling and succulent pepper is an unbeatable combination. Happy Fall!